the etching process. this is the lower half of the ‘B’ from scarborough. 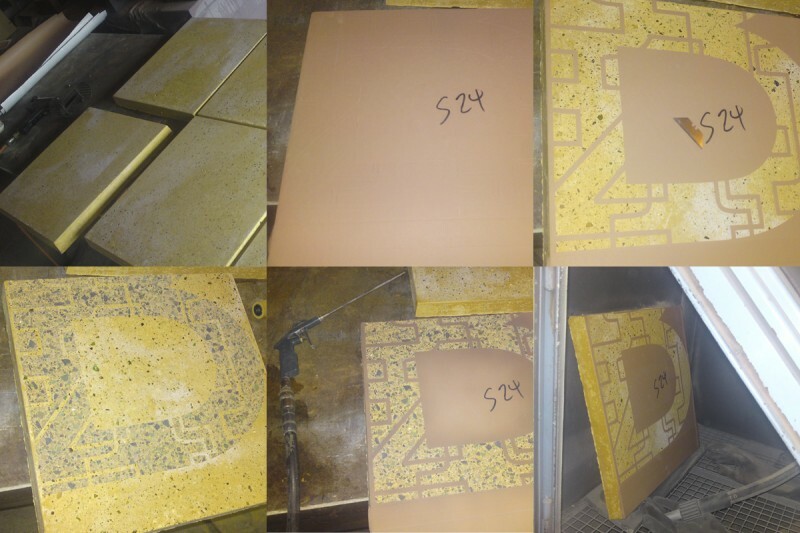 clockwise from left: we requested the paving slabs have the top surface removed to reveal the glass content; a card mask is created from the files we supplied; the design is cut away; ready for the etching process; after a later has been etched away; mask is removed to revael the design.